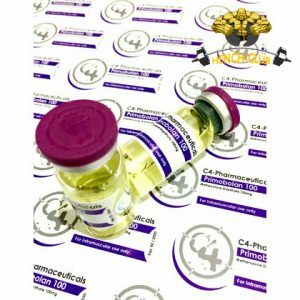 Contains: Testosterone Propionate 60mg, Testosterone Phenylpropionate 30mg, Testosterone Isocaproate 60mg, Testosterone Decanoate 100mg. 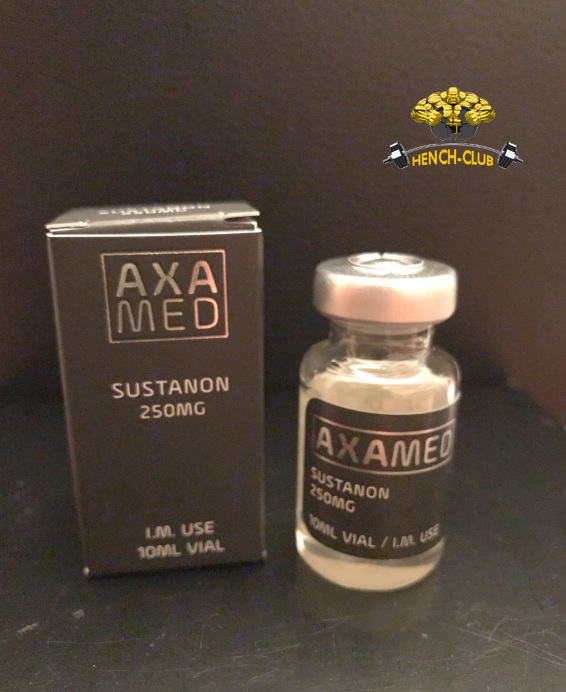 The injectable, Sustanon 250, under trademark as Organon is a hugely popular testosterone ester product. 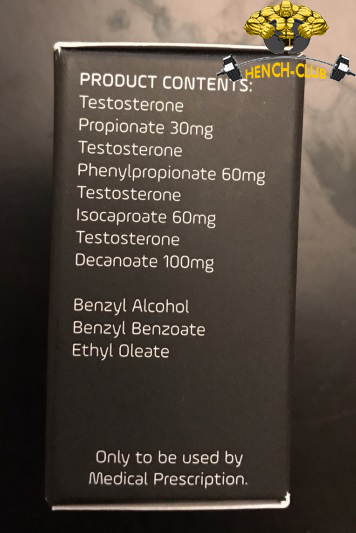 It’s a tiny little cocktail with each measure containing testosterone propionate, testosterone phenylpropionate, testosterone isocaproate and testosterone decanoate. If that’s all a bit chemistry / science heavy for you should know that Sustanon 250 is made up of short, medium and long term esters. 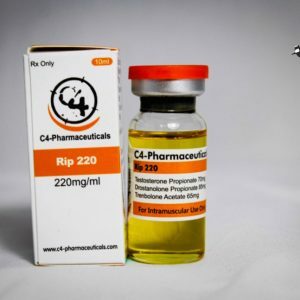 Because it combines multiple esters in the same formula Sustanon 250 has two big advantages, firstly you get a total concentration of 250 mg/mL without requiring a large percentage of solubility enhancers which is very convenient. Secondly the blending means you get more of an immediate effect from the long acting esters that you would not usually get if you used the long acting ester on its own. 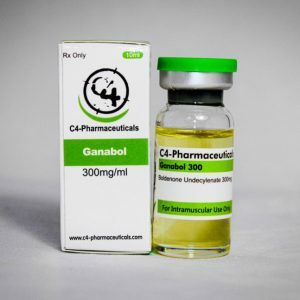 This has made Sustanon 250 a big hit on the medical circuit and has meant that patients using the drug experienced benefits soon after treatment began. It’s the short acting esters that give Sustanon 250 this immediate boost. However it’s no flash in the pan as the long-term esters show sustained results over a decent length of time. This makes Sustanon 250 hugely beneficial for any bodybuilder who is unsure of how to frontload a steroid. Some old hands preferred a different testosterone ester product to Sustanon 250 such as testosterone enanthate. That’s fine but and will give similar results, but Sustanon 250 has further benefits. A single ester drug has a half-life behaviour that impacts on your blood level and there is a direct correlation between prolonged use and decrease in blood levels. Sustanon 250 lasts longer and has less impact on blood levels, even with prolonged use. While tests are still inconclusive there is a trend governing the time between the last injection and the point where recovery begins with Sustanon 250. Unsurprisingly this also depends on the dosage you use. For argument sake if Sustanon 250 was used at 500 mg/week. You would need levels to fall by 40% before recovery would begin. This would be approximately 6 days after the last injection. However, taking things to the slight extreme, a dosage of 2000 mg per week, would need levels to drop to 10% of what they had been before recovery would be likely to begin. This means it would take a break of about 18 days after the last injection. If you are unsure about the amount you should use to frontload your course of Sustanon 250, a good rule of thumb is to have on day 1 what you are likely to be aiming to have taken after five days. The maths works out like this if you’re taking 750 mg/week as three injections of 250 mg each, your average daily rate is 107 mg/day (that’s 750 mg divided by 7 days.) So the average taken in 5 days is 535 mg (107 mg/day x 5 days.) As this is about what would be your usual injection amount, which is 250 mg you’d get a total of 785 mg which you can happily round down 750 mg for the sake of simple numbers. Going on from there all additional injections would be 250 mg. Fear not, we've created several safe and effective starter stacks specially tailored for the first time user. For the more experienced users we have intermediate and advanced stacks available to cater for all bodybuilding goals.